The summery rains have almost ended and we can begin enjoy autumn. This is the time of year that we moved to the Wood, six years ago, and partly for this reason – honouring that first sense of wonder – my favourite. Clear sunny days, still warm enough for swimming, and nights cool enough to enjoy an open fire. The light, too, is softer, somehow accentuating the green of the leaves and the blue of the sky. The black cockatoos return, flying overhead in unevenly-numbered groups, or perching nearby, screeching and squawking. In late April and May, heaven is Olvar Wood. 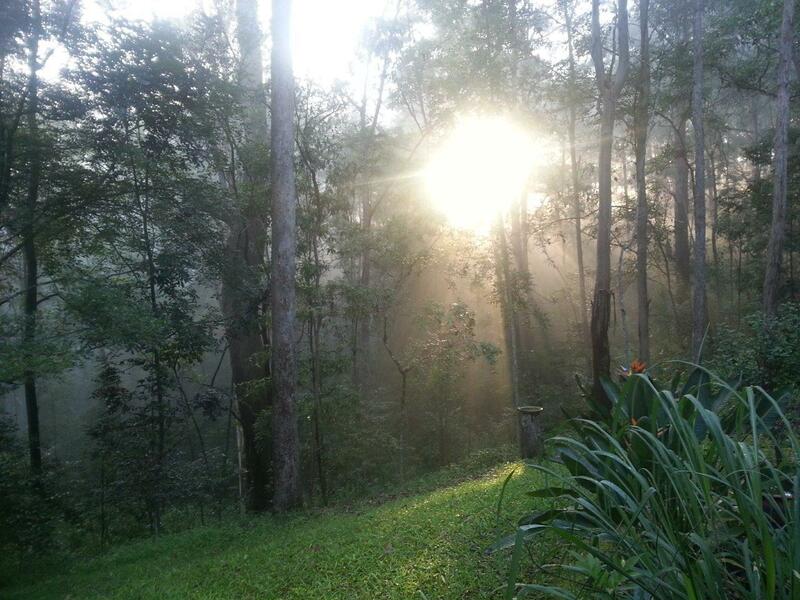 In the mornings, the sun has swung around such that the first light over the ridge shafts through the trees and onto the deck right around breakfast. Congratulations to the inaugural winner of the Stella Prize: Carrie Tiffany. In a moving (and fitting) gesture, Carrie shared part of her prize with the other shortlisted writers. What a woman. You can listen to Carrie’s gracious acceptance speech here.